I have been so busy (but a fun, excited, very happy busy!) getting everything ready for tomorrow and Wednesday... I swear, I spent about 5 hours wrapping gifts (although I did have a sweet little puppy trying to "help" me!). I enjoy wrapping gifts just as much as shopping for them. 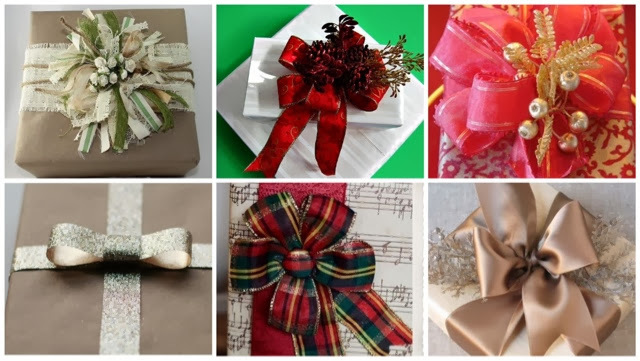 I was perusing Pinterest for fun wrapping ideas and came upon the below lovely ideas. Hopefully you have all of your gift wrapping done, but if you are one of those Christmas Eve shoppers, you should try out some of these fun ways to spice up your gifts! 1 | Create a monogram using washi tape. 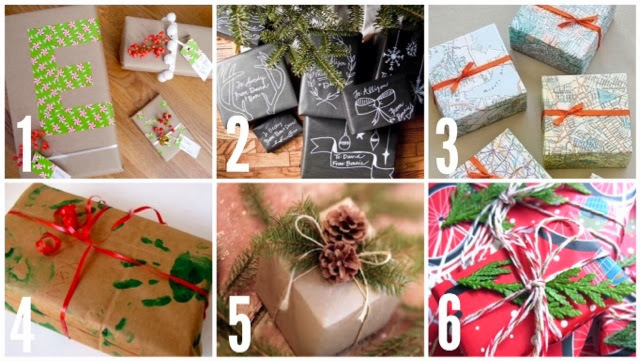 2 | Chalkboard wrapping paper (you can personalize each gift!). 3 | Use an alternative material like a map or newspaper. 4 | Make your own (this is a fun idea if you have kiddos!). 5 | Tie something fresh to the top of the package - like greens or pinecones. 6 | I love, love, love big beautiful bows, but ribbon can get very expensive if used on all gifts - bakers twine is a great alternative! 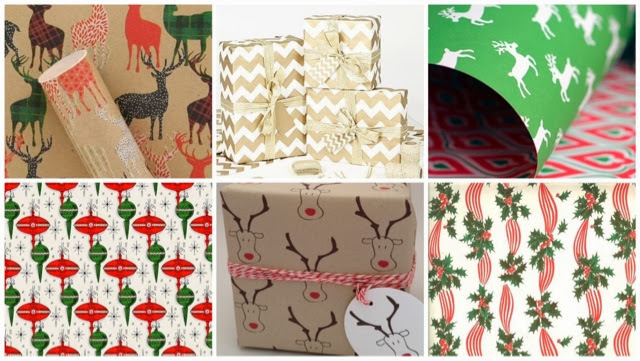 I am also loving the wrapping papers below... I wish every day was Christmas!! Lastly, I'm all about a big, beautiful bow. How lovely are these?! I love the gold chevron and all the bows. I love wrapping too but there is a different look from the first present to the last haha! Merry Christmas!! !